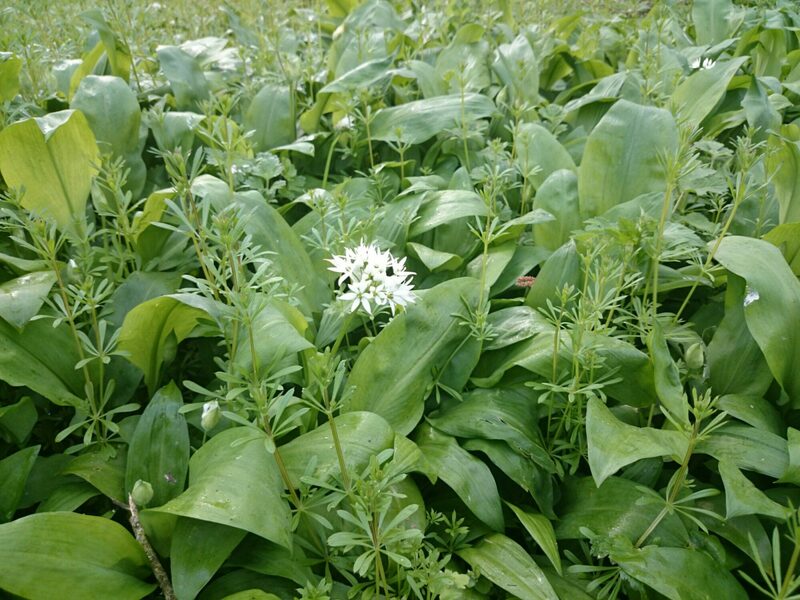 I can’t remember where I got the original recipe for wild garlic risotto but I have been making it for a few years when I remember to forage wild garlic. Heat the half the butter and the oil in a heavy saucepan and cook the onion and garlic slowly for about 10 minutes. Add the rice and stir to coat the rice in the garlic and onion mixture. Add the wine, turn up the heat and stir until the wine has been absorbed. Add stock until the rice is just covered and turn down the heat so that the rice is at a simmer. Keep adding stock as it is absorbed. After about 10 minutes add the wild garlic leaves and stir into the rice. Once the rice is just cooked but still has some bite, add the rest of the butter and the cheese. Season to taste and serve.